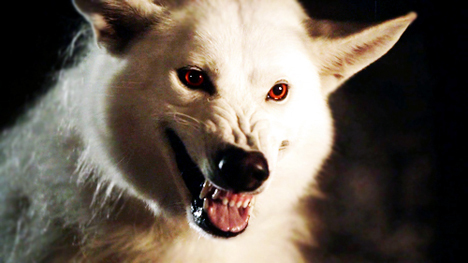 the blockbuster HBO series Game of Thrones used Northern Inuits to play the direwolves. Though only used for season one of the hit series before being replaced with CGI, Northern Inuits have since risen to fame around the world as new people have begun to take notice of this amazing breed. 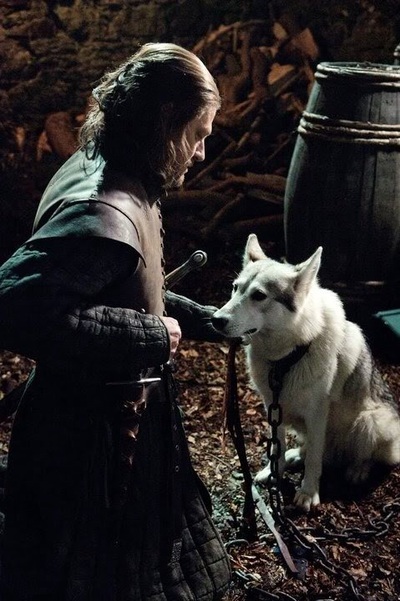 In the show the Direwolves, Ghost, Nymeria, Grey Wind, Summer, Shaggydog and Lady were adopted by the Stark children and followed them on their trials and tribulations. The NIS provided Northern Inuits to assist with filming the pilot for Season 1 a year before it aired on TV. The NIS was ultimately given the contract to provide Northern Inuits for Season 1 due to Northern Inuits’ easy going nature and their trainability. The Northern Inuits used in the series are now happily living out their lives with their families. 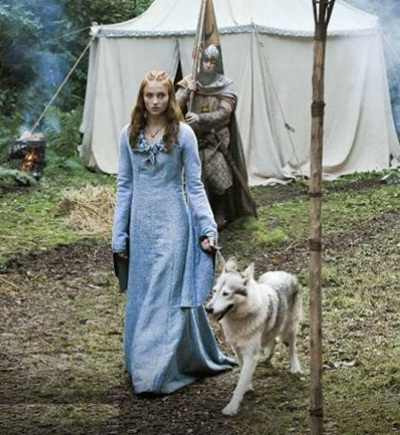 Sophie Turner, who plays Sansa Stark, fell in love with Zunni (who played Lady) and with the permission of her owner and breeder adopted her after filming ended. Zunni was bred by Mahlek and prior to her acting career she had some stunning litters – whilst she is now retired from breeding and quietly enjoying life with Sophie’s family, her famous legacy will live on through her puppies, grand puppies and great-grand puppies. 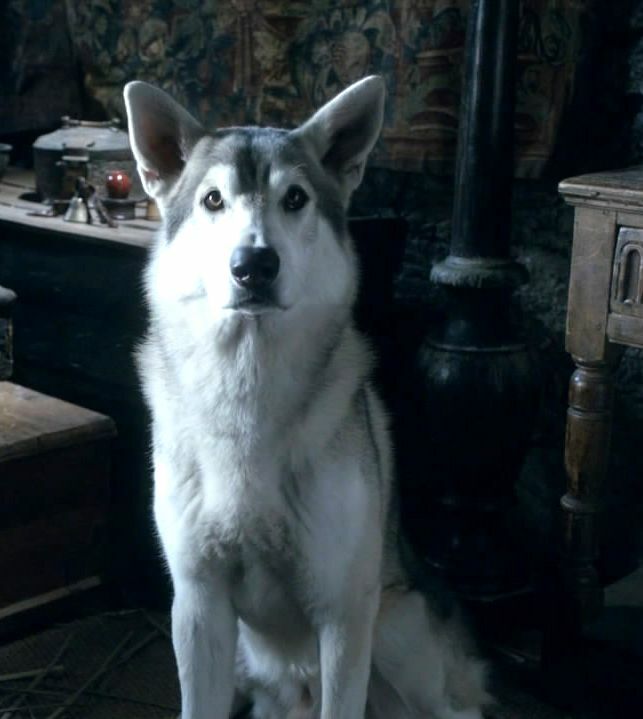 Sully, also bred by Mahlek, played a puppy Direwolf in the opening episodes of Season 1. 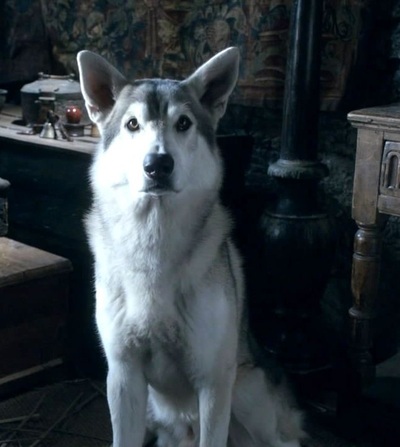 Not only is he famous for playing a Direwolf but in 2014 he became an NIS Champion thanks to his performance in the show ring and winning three gold stars.